It has been a while since I last visited Kenjo Salon. 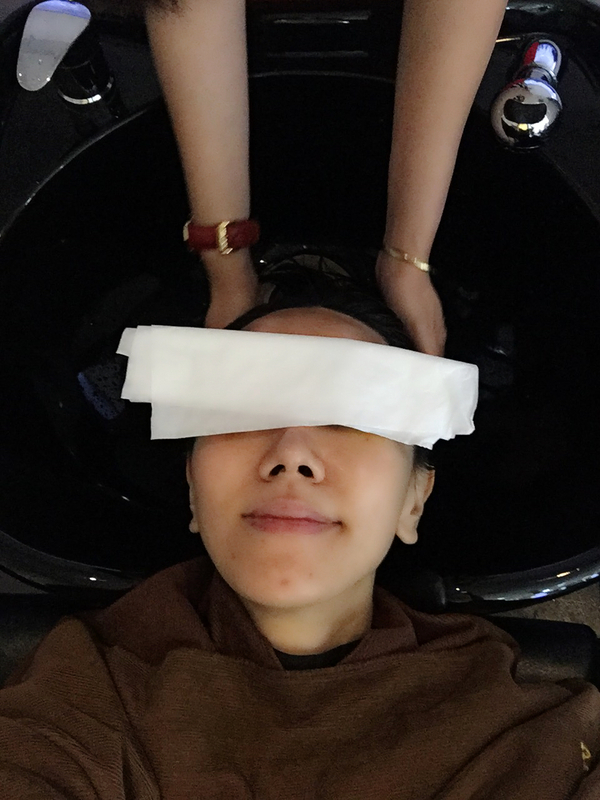 I guessed it was time for a scalp and hair treatment to prepare my hair for a perm and colour, probably in another month’s time. 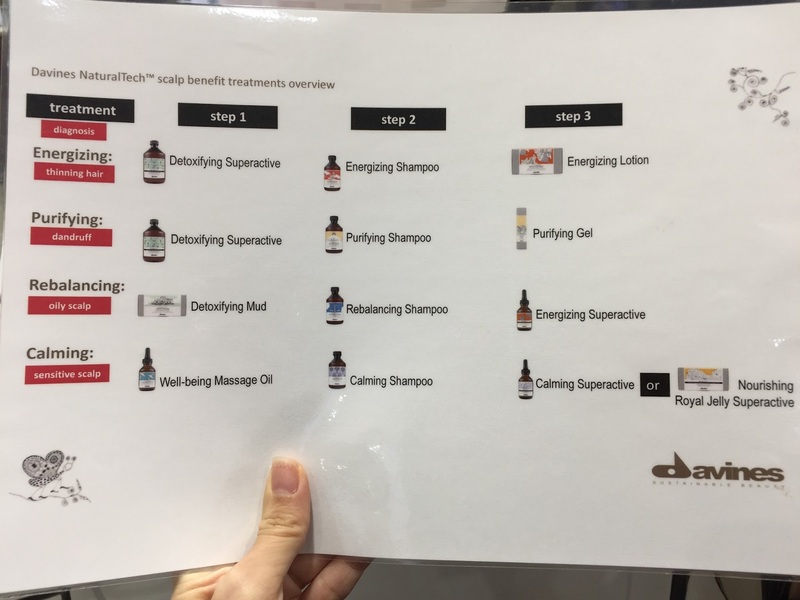 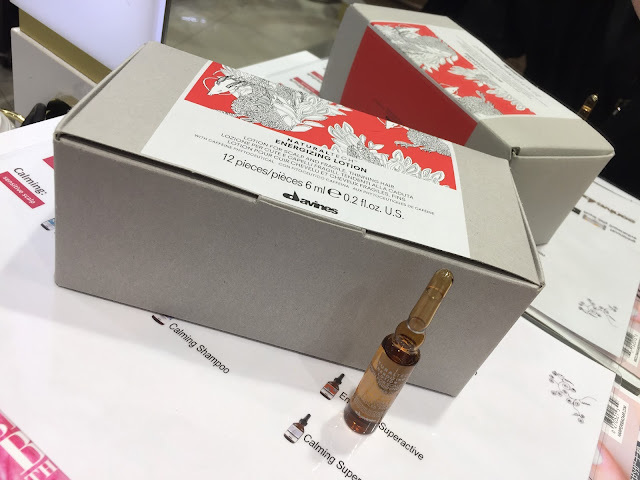 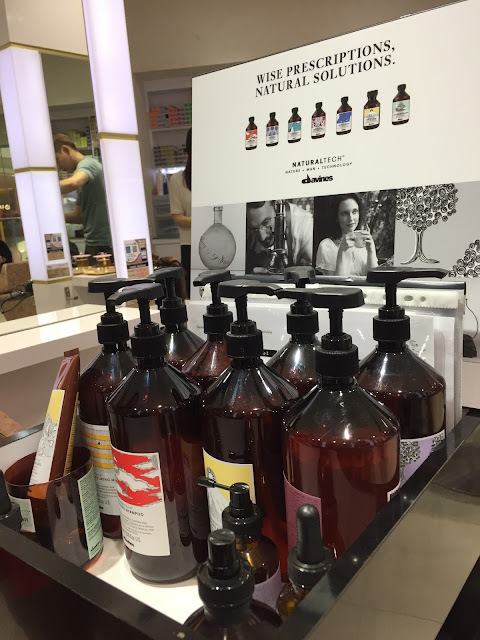 For this visit, Joseph, owner of Kenjo Salon, suggested trying Davines NaturalTech scalp benefit treatment using the energizing range. 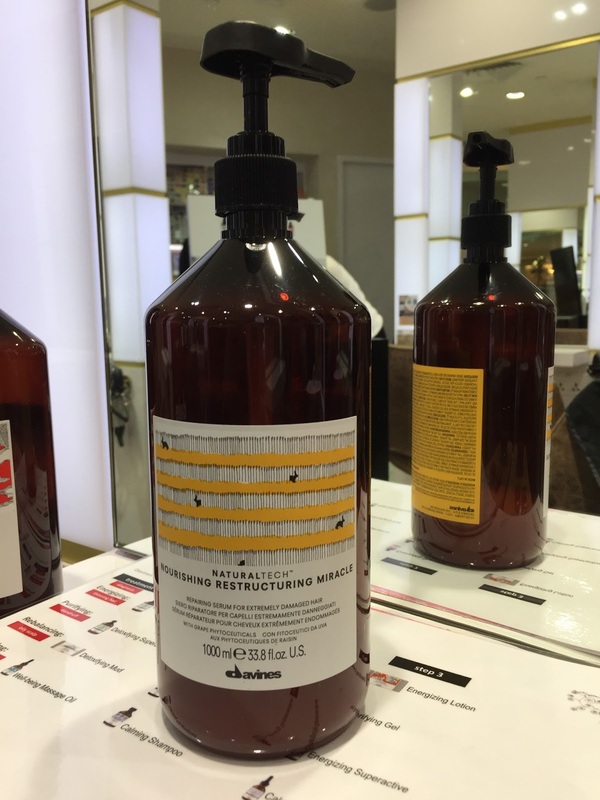 The first step was to use the Detoxifying Superactive to apply on the scalp. 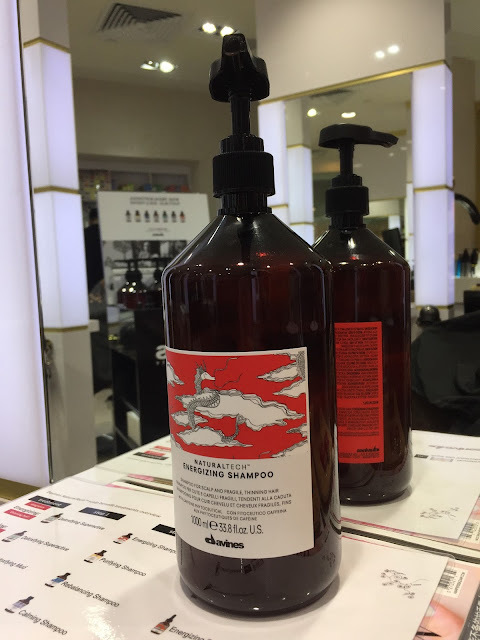 Afterwhich, my hair was washed using Energizing Shampoo. 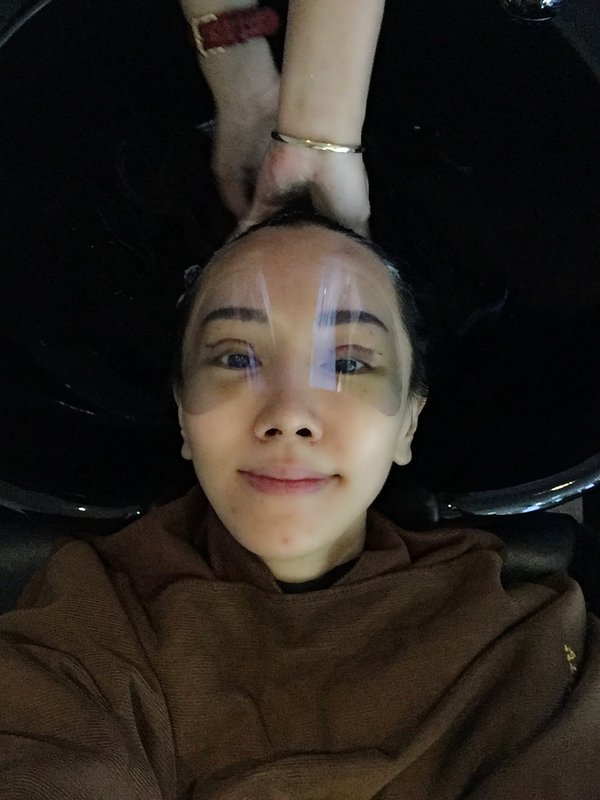 After my hair was throughly cleansed, a mask called Nourishing Restructuring Miracle was applied on my hair. 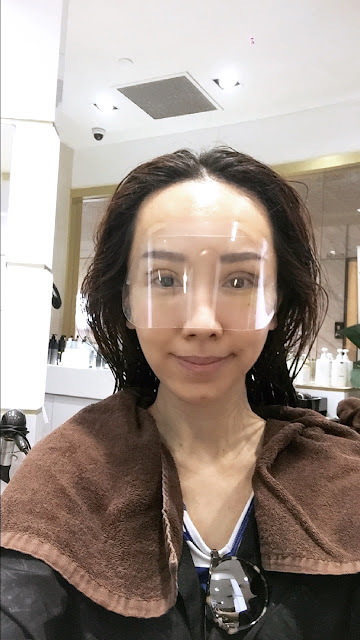 Every strand of hair was coated with the mask. Afterwhich, my hair was steamed for 20 mins to allow the nourishing moisturising goodness of the mask to sip into the hair cuticles. 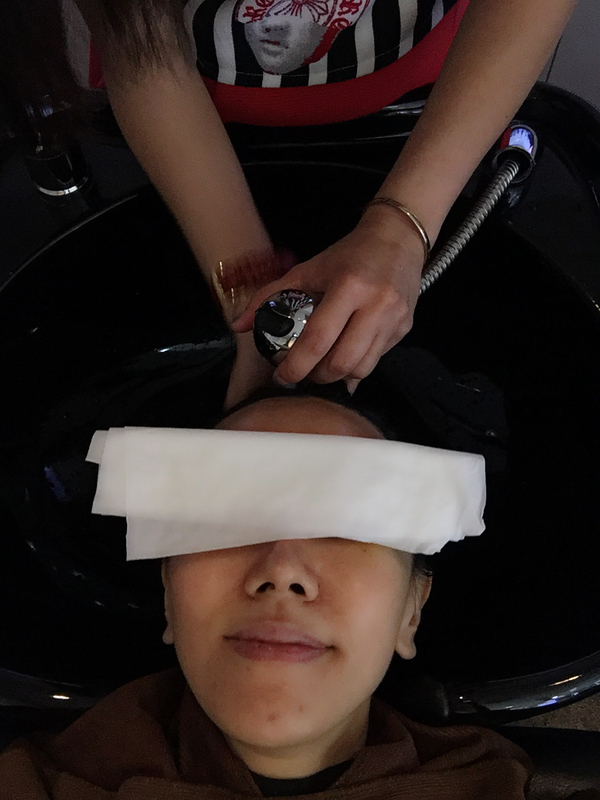 Back to the washing area to wash the mask off. After my hair is throughly rinsed, energizing lotion was applying to my scalp to purifying it further and stimulate hair growth. 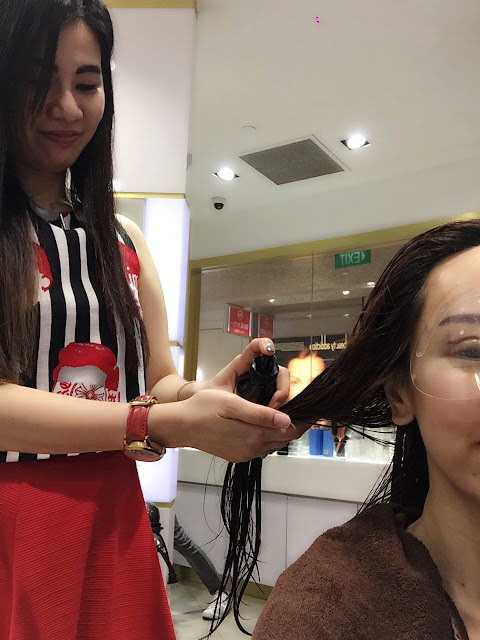 Finally, the lotion was massaged into the scalp to facilitate better absorption. 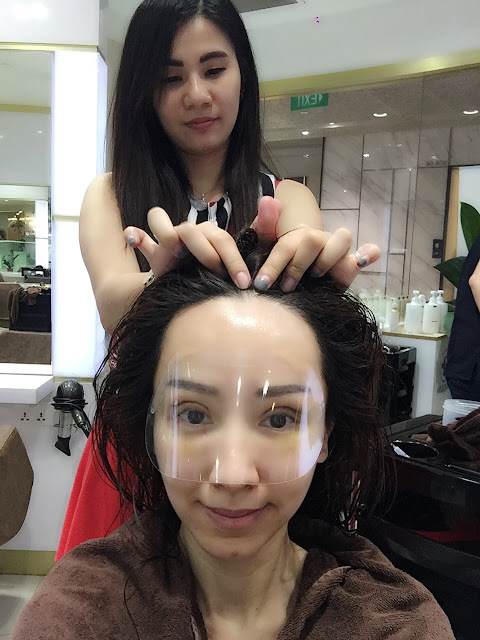 The final step before blowing drying my hair was applying this Replumping Hair Filler Superactive. 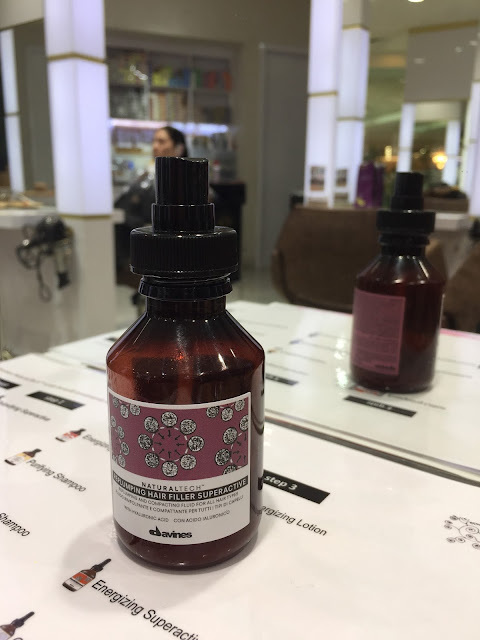 It gives an anti-frizz silky effect, adds more body and elasticity, invigorates & compacts hair structure, contains hyaluronic aide to replump hair and is totally paraben free. 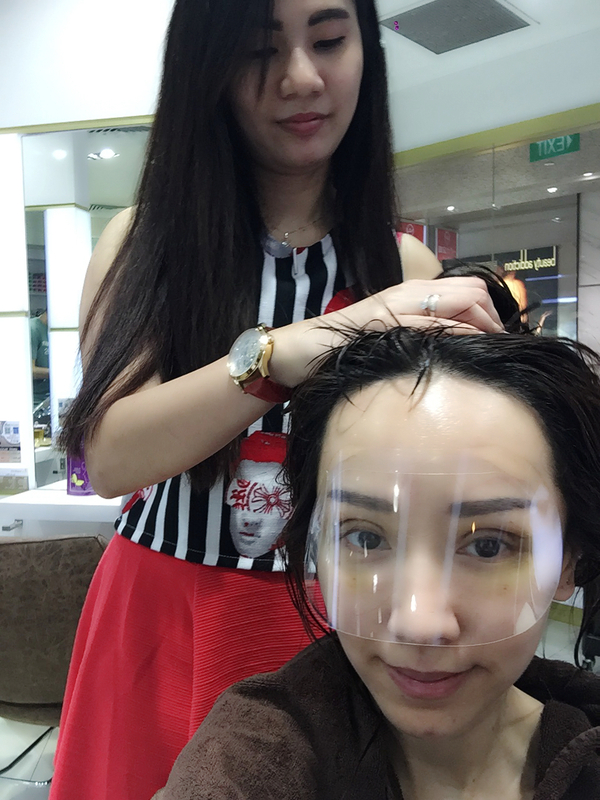 It has to be sprayed onto damp hair before styling. Soo Bin, my dearest beautiful hairstylist, was back in Singapore, after a month long of studying in London. 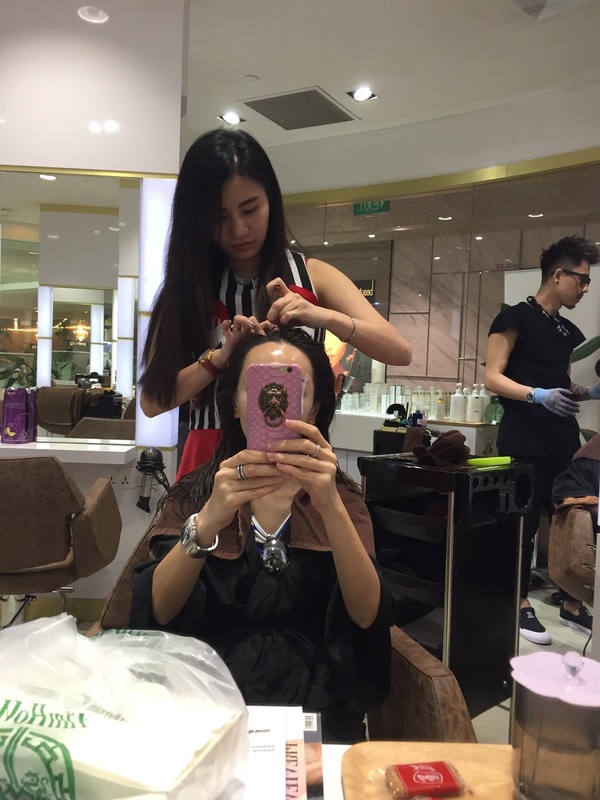 She’s forever so sweet… always buying me presents whenever she goes overseas! 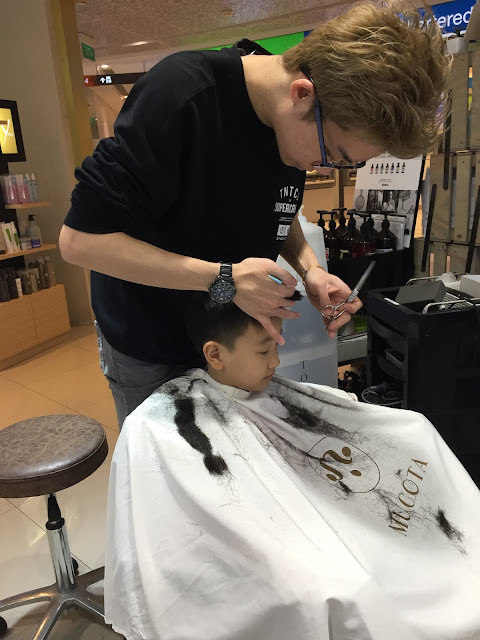 While she worked on styling my hair, my boy Kaiser, was happily getting his hair cut by Justin, another hairstylist. 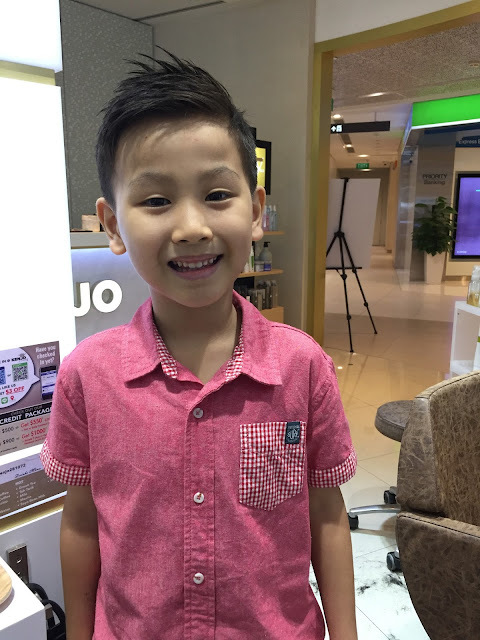 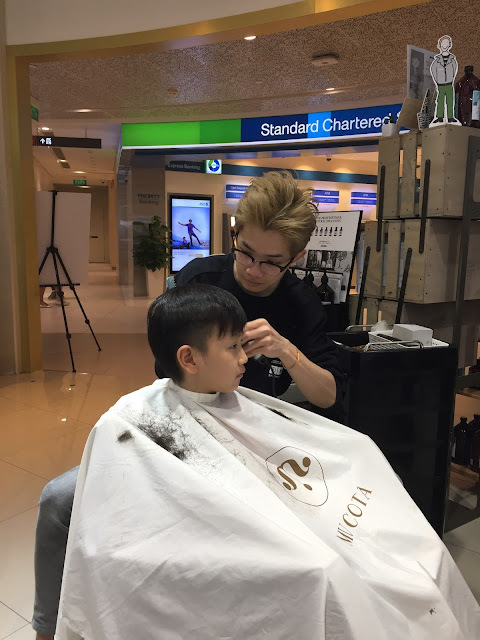 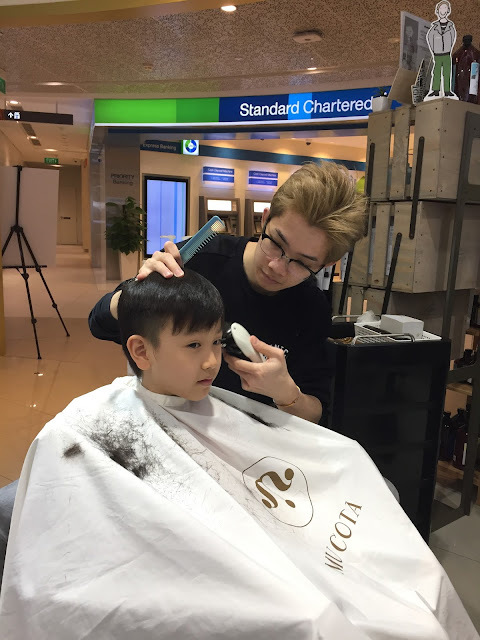 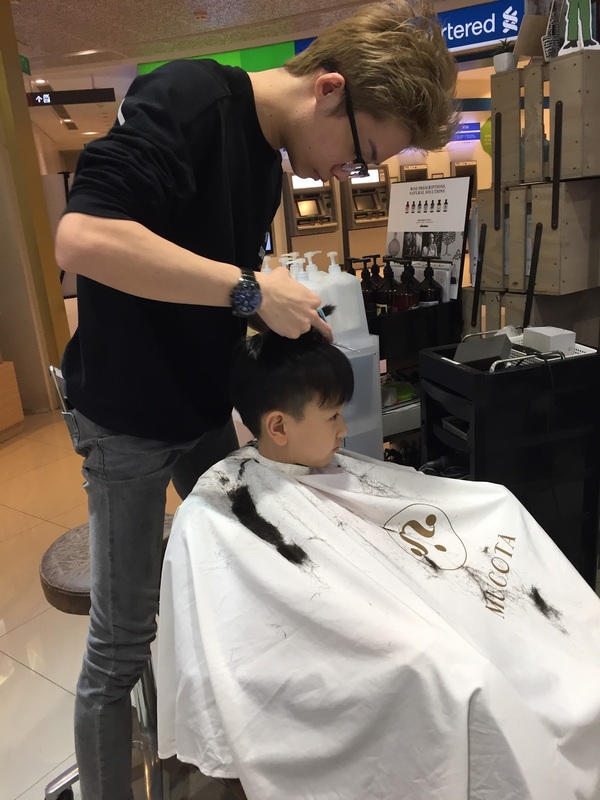 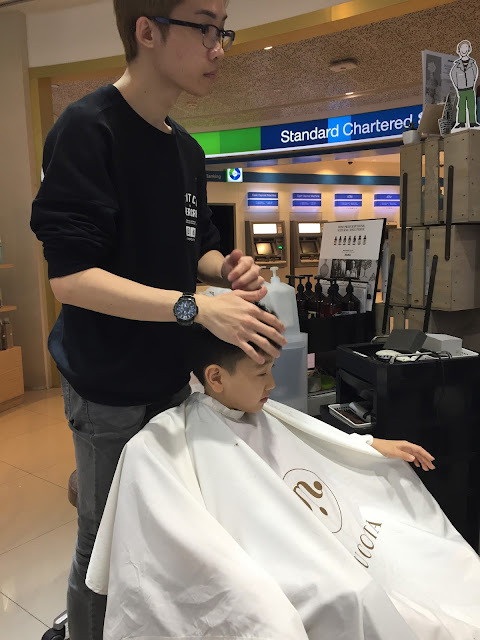 The people in Kenjo Salon were so nice… cos Kaiser said he wanted a haircut as his hair was getting long, he was immediately attended to and he said there obediently to get his hair trimmed into shape by Justin. 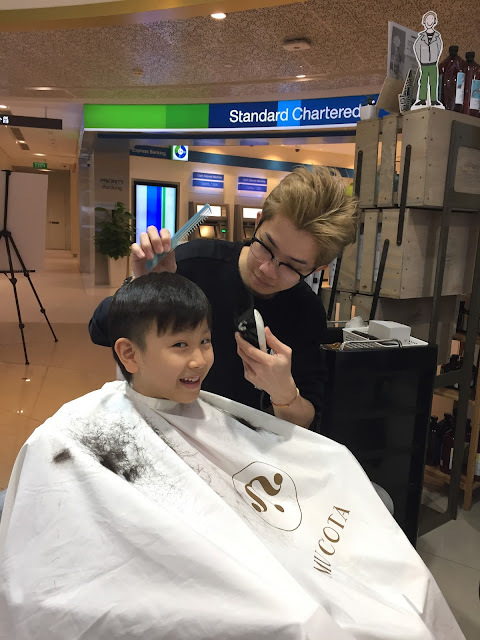 See how happy he was sitting in the chair and getting his hair trimmed to a nice style. 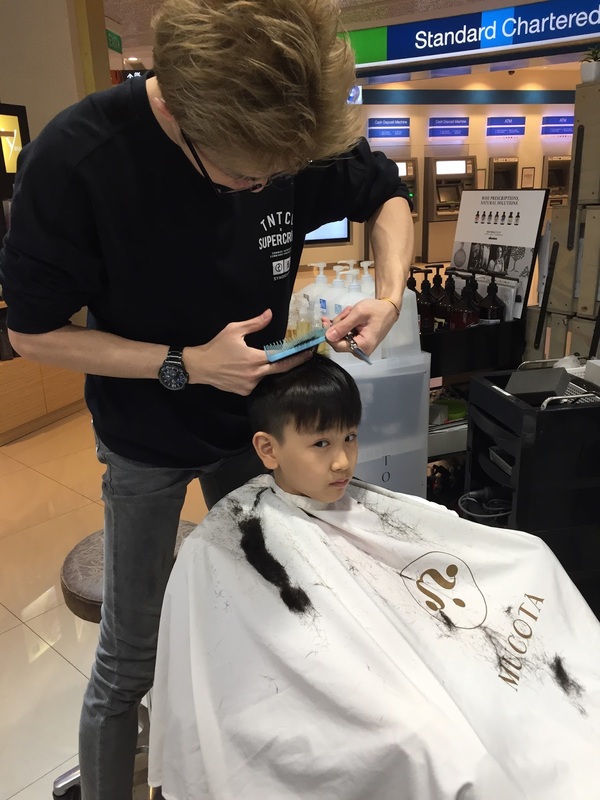 Kaiser has actually a lot of hair… just look at the amount of hair trimmed away… hahaha! I think this is the part which he enjoyed the most… applying hair wax to style the hair up. Just look at my baby boy… he was all smiles when he looked at himself in the mirror. 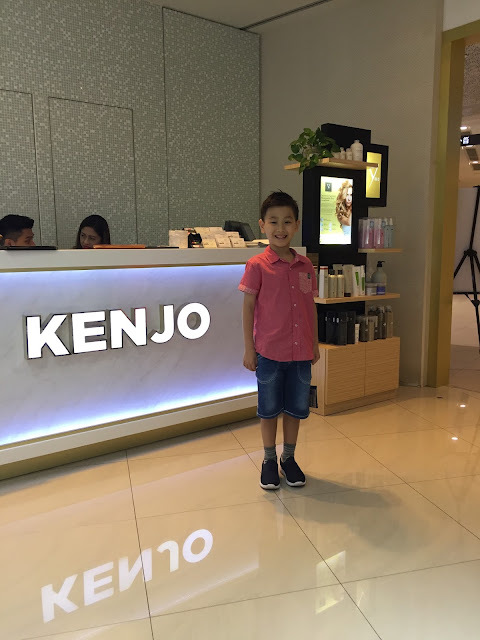 Thanks Kenjo Salon for giving my boy a stylish hairstyle and making him so happy! Kenjo Salon is running the following promotion during the Great Singapore Sale. 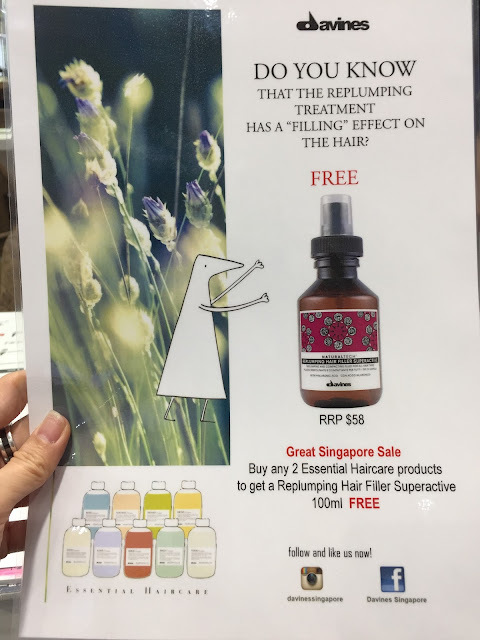 All you need to do is to buy any 2 Essential Haircare products and you get a Replumping Hair Filler SuperActive 100ml FREE! 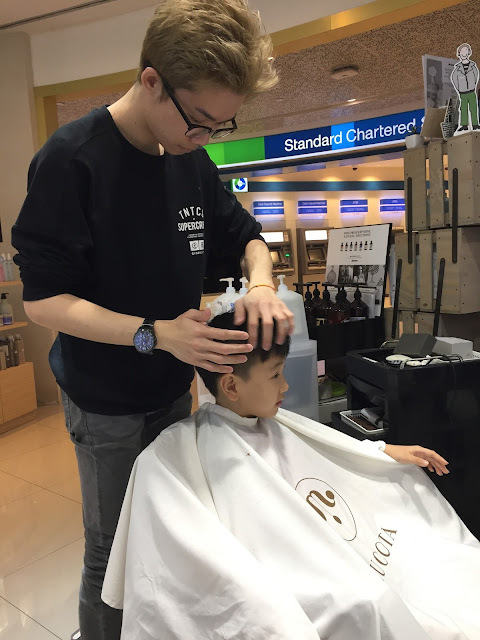 It is a worthwhile deal so do visit Kenjo Salon to make use of this promotion now. I love my clean scalp and hair with lotsa volume. 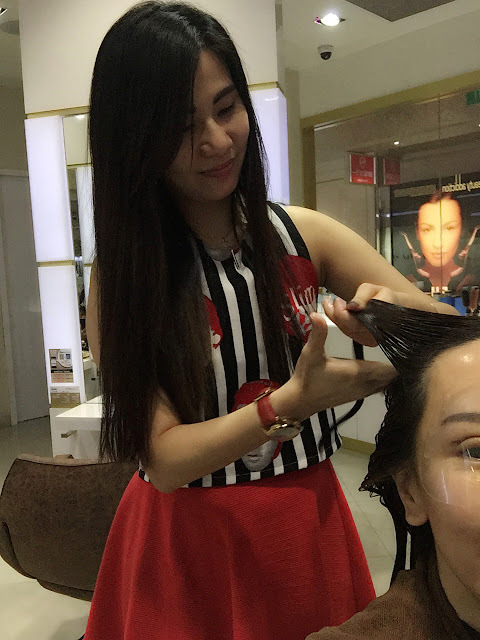 Thanks Kenjo Salon for always pampering me with the best! 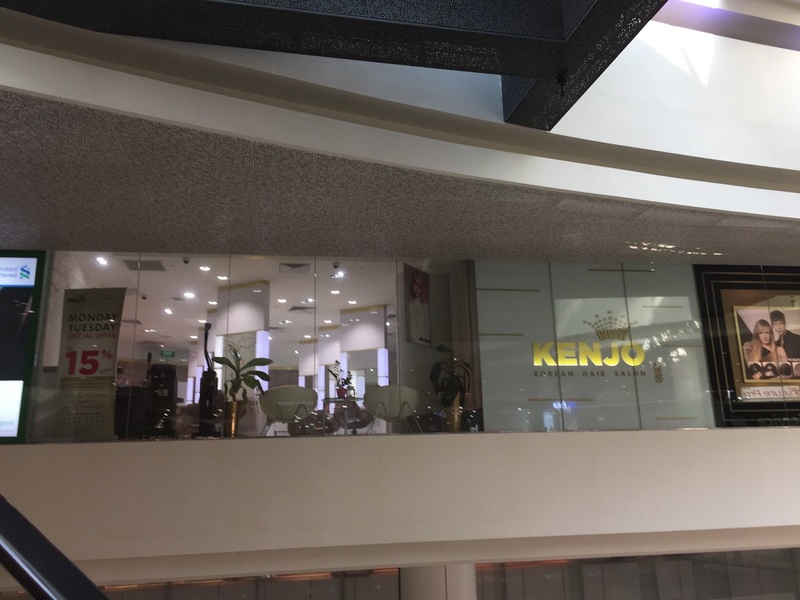 Kenjo Salon is located at 68 Orchard Road, #04-72, Plaza Singapura (New Wing). 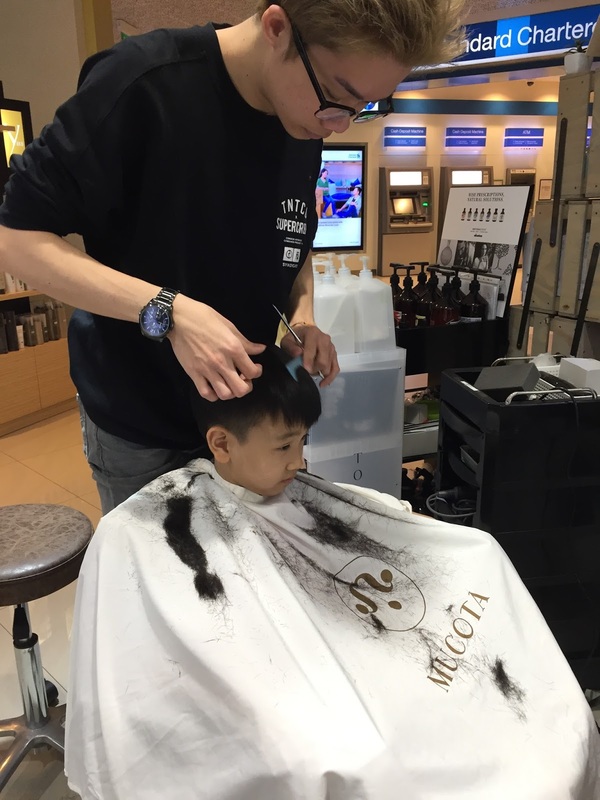 Check out Kenjo Salon’s website at www.kenjosalon.com for more details on the services it provides. You can also follow them at the facebook page https://www.facebook.com/KENJO-korean-Hair-Salon-살롱-293791920773570/. 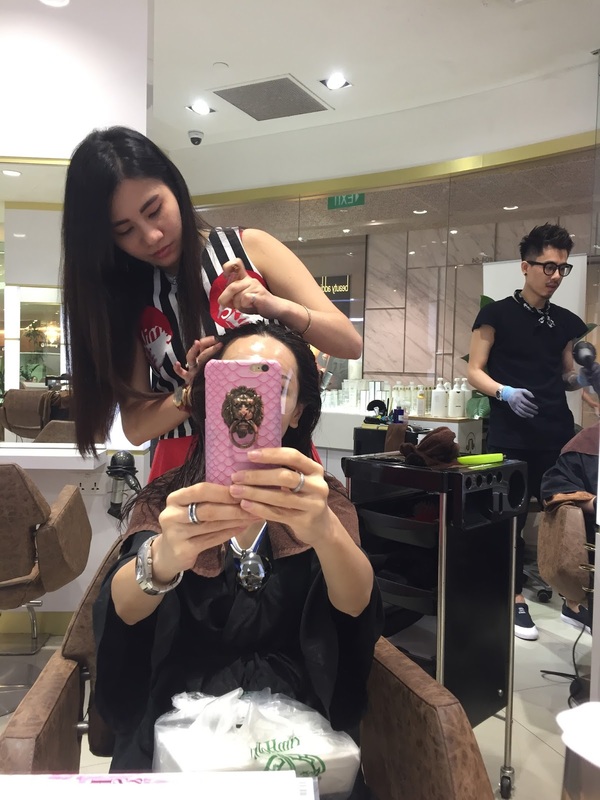 The salon also has an instagram account : @kenjosalon, where you can see photos of hairstyles created by Kenjo Salon. 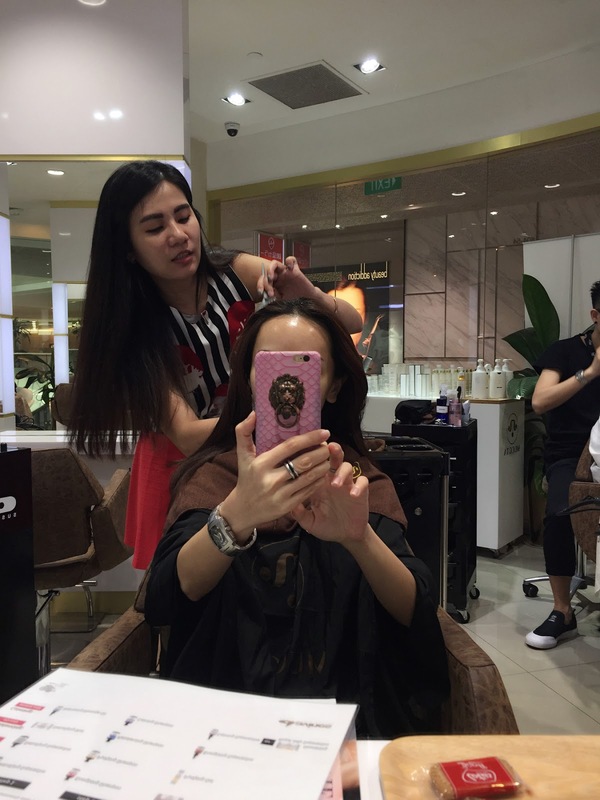 To make your appointment with Kenjo Salon, please call +65 6238 8083. 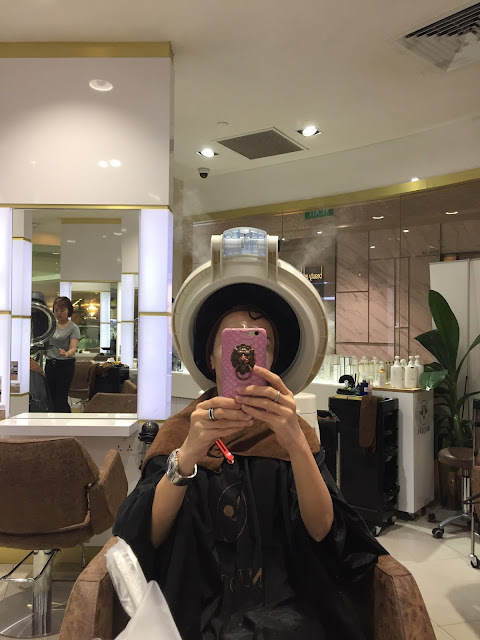 If you quote my name ‘Elaine Heng’, you can enjoy 15% off all hair services as well.